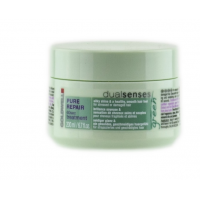 Dualsenses Treatment regenerates hair instantly up to 100% in 60 seconds. It also amplifies natural colour luminosity and provides nourishing care. Best for fine to normal hair. Data provided by Goldwell. This 60 Second Treatment works great for thick coarse colored hair and regenerates hair up to 100% in just 60 seconds. 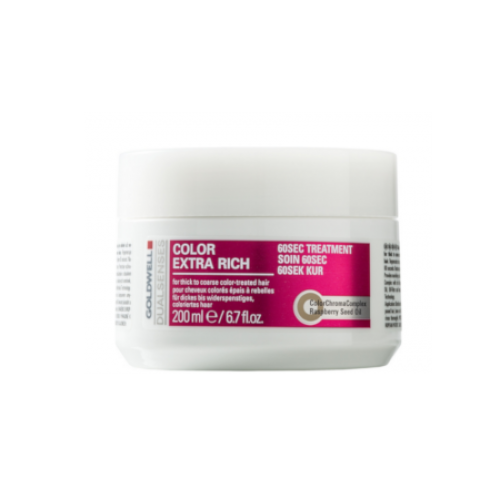 The treatment restores color brilliance, provides nourishing care with the Color Chroma Complex and Raspberry Seed Oil. Directions: Distribute through just shampooed hair, leave on for 60 seconds, rinse thoroughly.